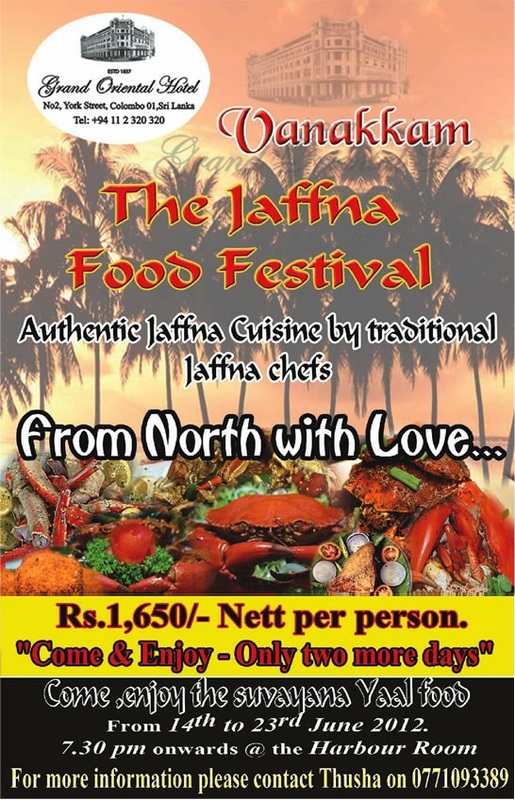 The Grand Oriental Hotel organized the Jaffna Food Festivals in their Harbour Room. 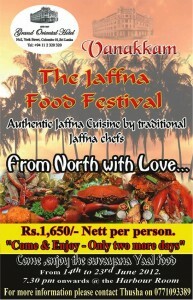 Today 23rd is the last day to taste the Jaffna foods in Colombo from 7.30 pm. Go and Enjoy the Suvayana Yaal Food on this last day at a Price of Rs. 1,650.00 Net per Person.